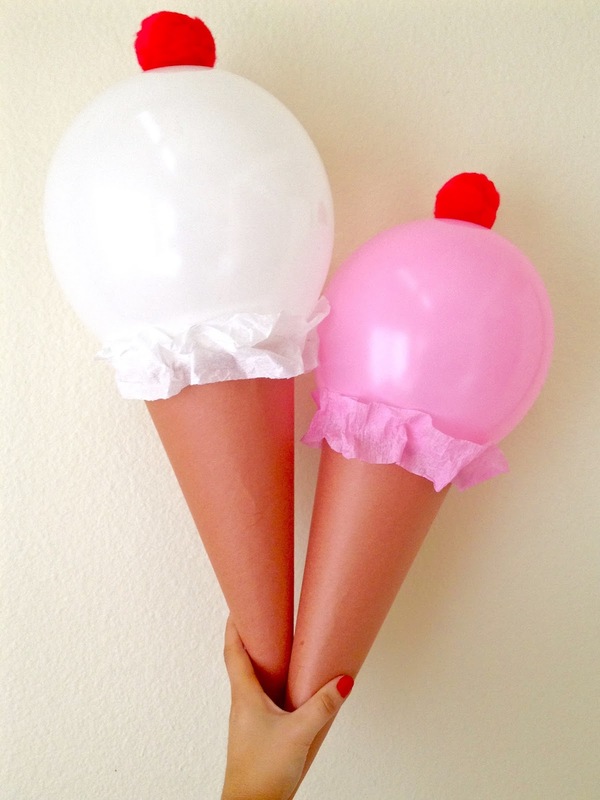 These DIY Ice Cream Cone Balloons are perfect for Birthday Parties & Summer Fun. 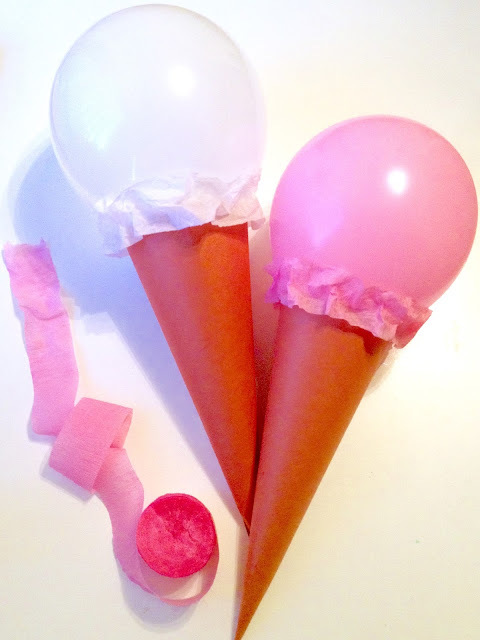 Use them as a table centerpiece, yard decorations or hang them at the party for a fun and creative addition to the celebration! 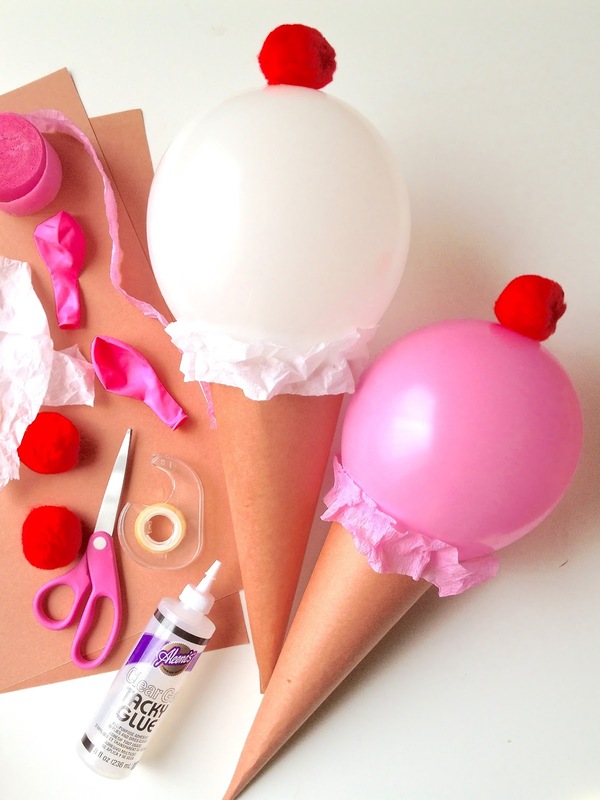 I got most of these supplies at the dollar store and the red pom poms from y local craft store. 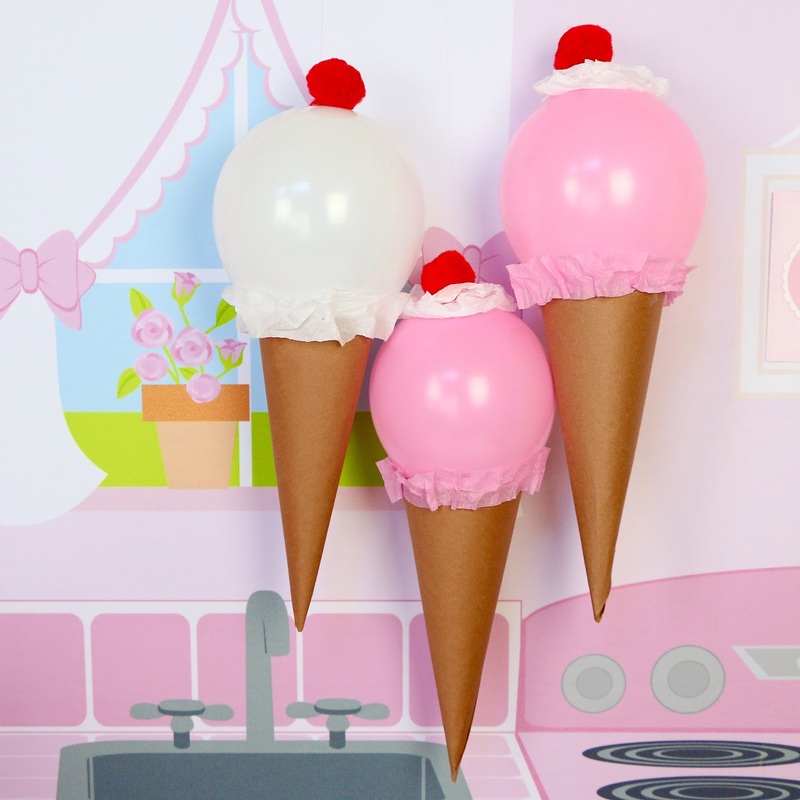 Give them a try and create all different types of "flavors" using different balloons! 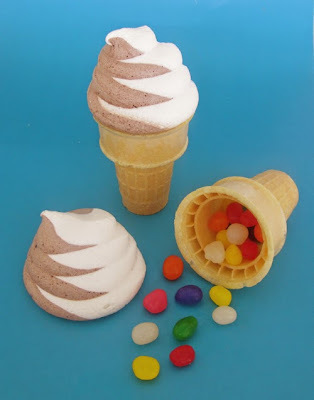 ...Or add pom pom cherries on top! 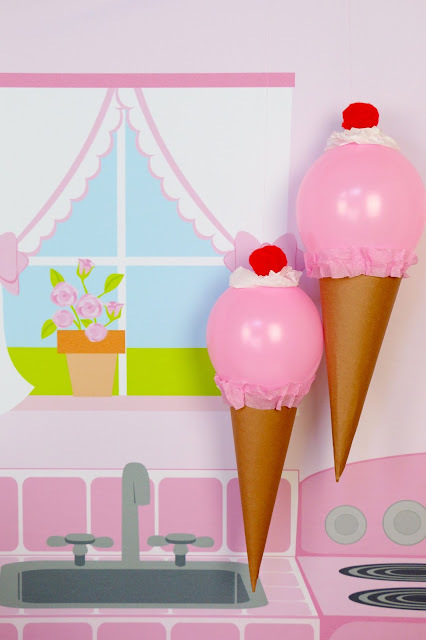 I even added tissue paper "whipped cream" and hung them up using thread so you wouldn't see the string. 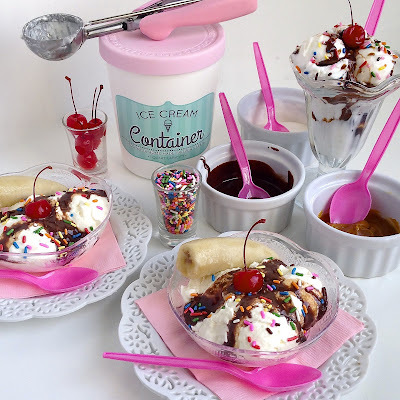 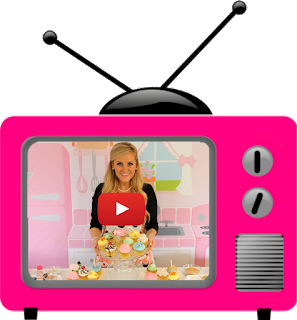 Want ice cream recipes for your ice cream party?! 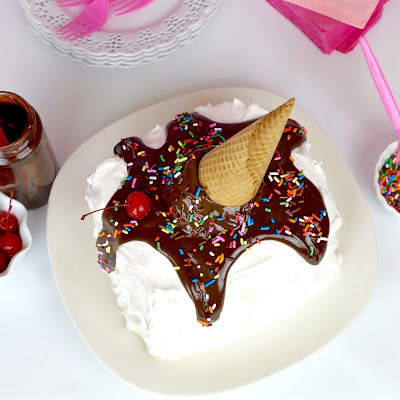 Easy No-Bake Ice Cream Sandwich Cake with "Melting Cone"